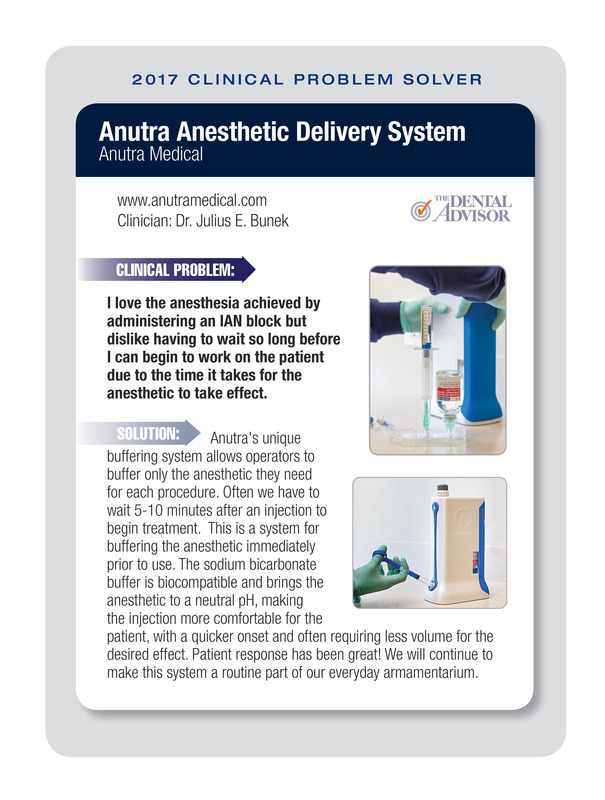 The latest buzz about Anutra and buffering local anesthetics. Aiming for a better patient experience? Anutra Medical Launches into National Dental Distribution with NDC, Inc.
Morrisville company takes the sting out of the dentist, and now the doctor, too! To receive more information about Anutra Medical or to set-up an interview, contact us here or call us at 1.844.268.8721.